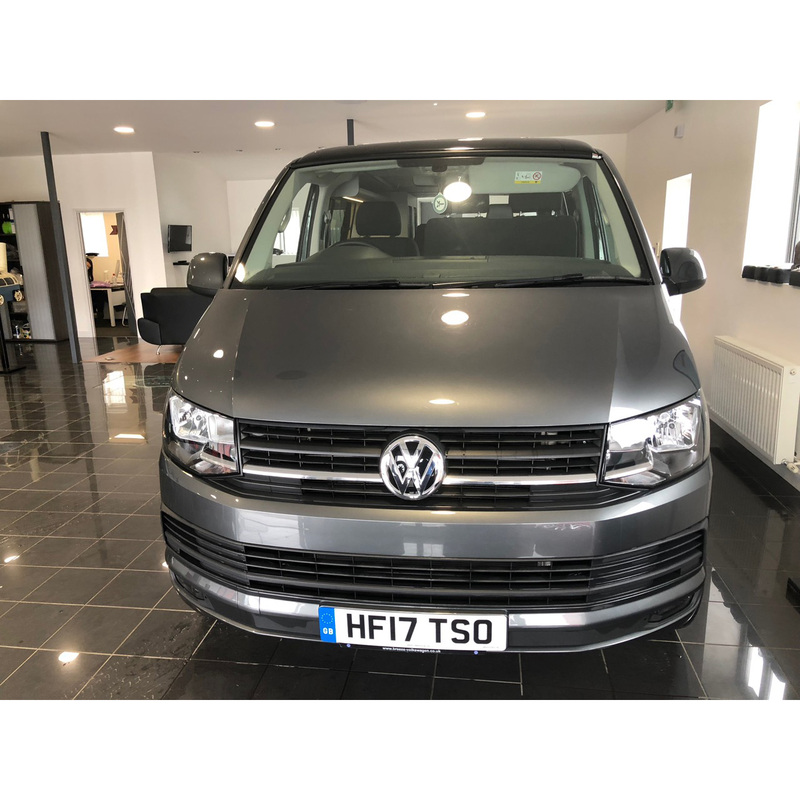 We are delighted to be able to offer you the VW T6 Euro 6 Highline in metallic Indium Grey. 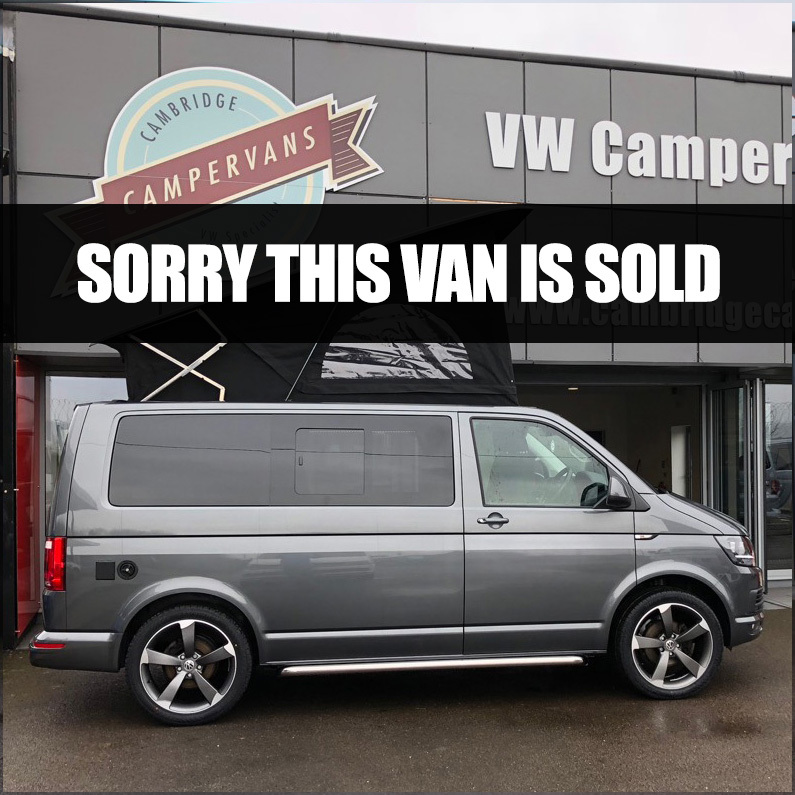 The van is just 12 months old has 30k miles and 24 months manufacturers warranty remaining . 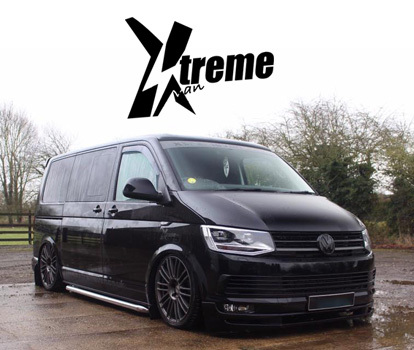 The Campervan also comes with 20" inch VW alloy wheels and Side Bars which give a totally stunning top spec finish. 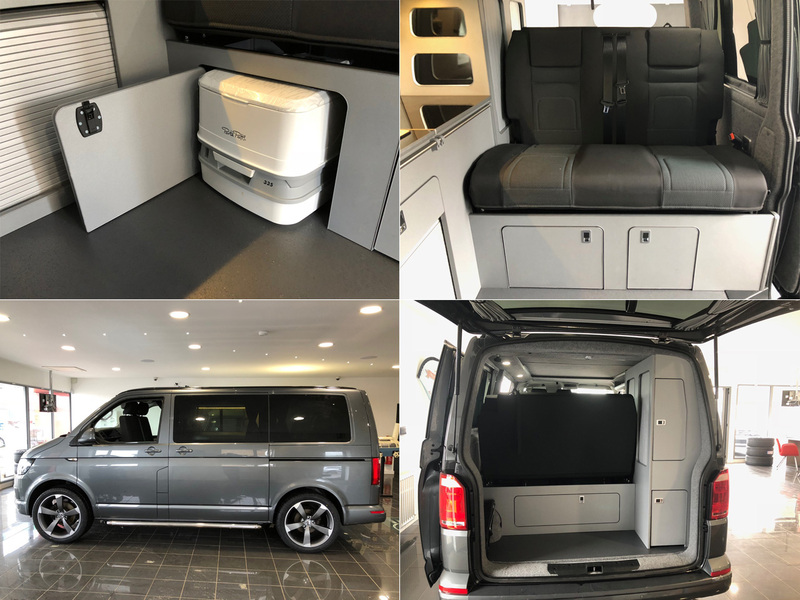 This van has also been fitted with one of the most advanced roof systems currently available. 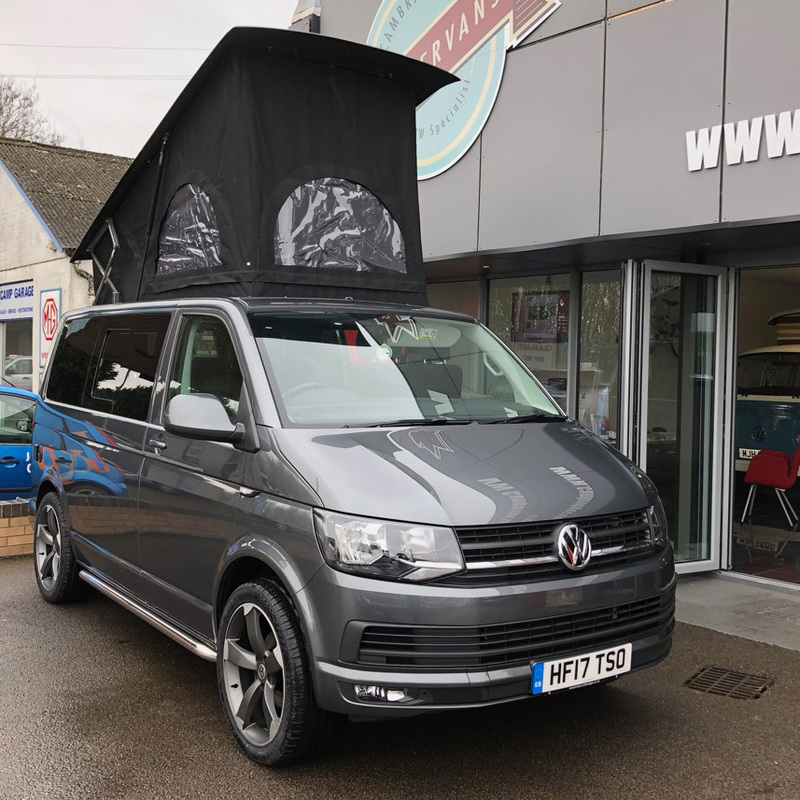 The HiLo Scenic Roof offers you the highest elevating, yet lowest profile roof, on the market and with the sides opened you have spectacular panoramic views. 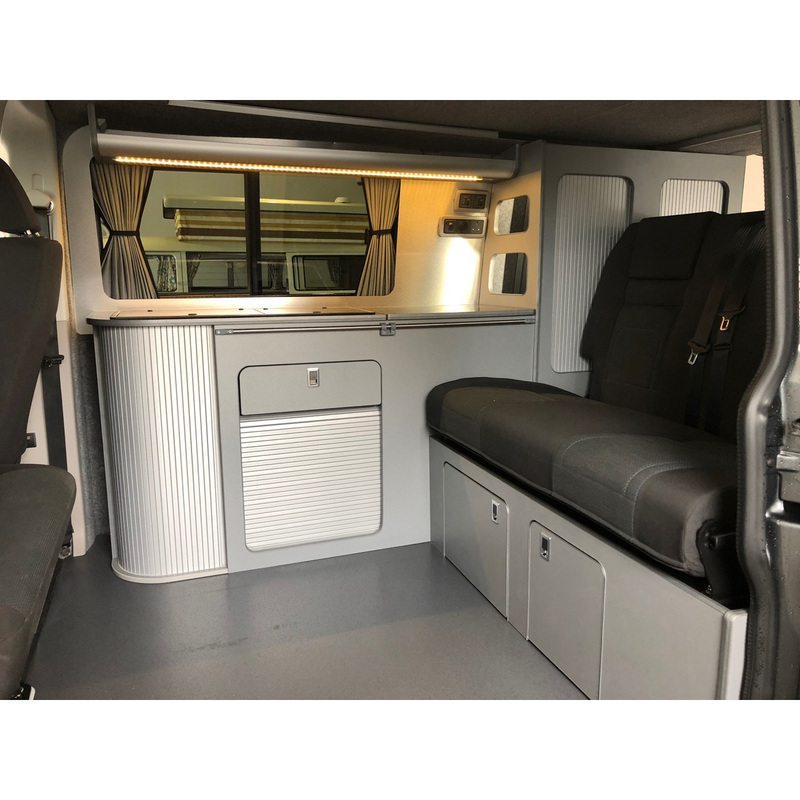 It is fitted with a top quality crash-tested RIB bed, on a slider and with isofix, for optimum safety.